A few words about sport and its importance! Sport is great! 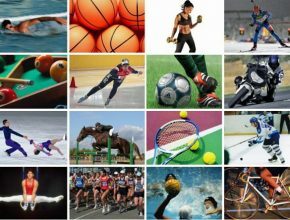 Sport develops not only the physical abilities of a person, but much more (benefits of sports)! For example, discipline. And this is exactly what everyone needs from a young age. Sports (any) require certain costs. But do not save on this! After all, this is an investment. Very good investment in yourself, your children, your family. We have prepared several articles on this topic. Read and ask your questions in the comments!